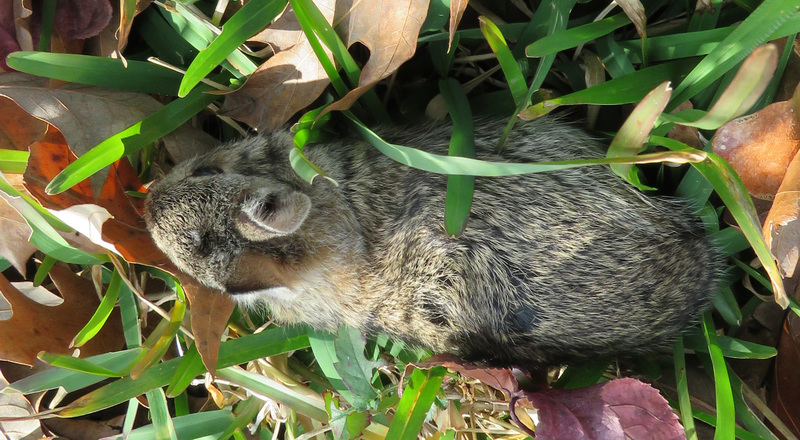 When we have cool weather, sometimes we come upon little animals that seem disoriented from the cold. I take the opportunity for a quick photo opportunity and send them on their way. 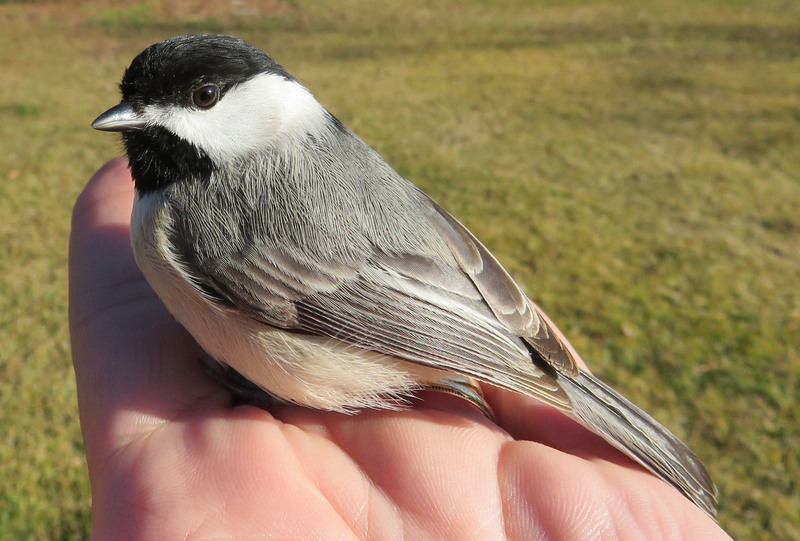 My husband found this chickadee just sitting on our deck, not moving. After a few minutes, it flew off. 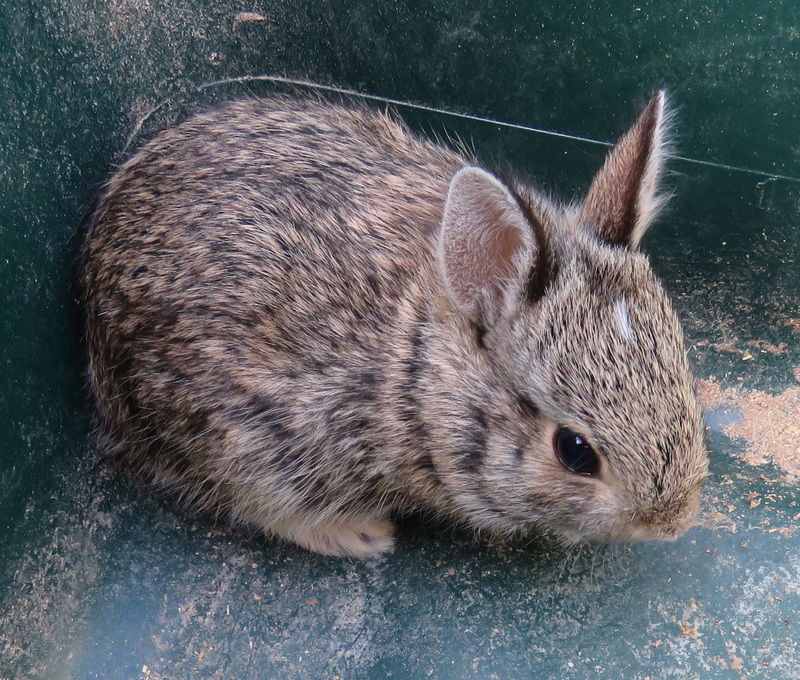 I was weeding the garden when this baby rabbit hopped out of the weeds just a few inches from me, and sat there. After a few shots, I returned him to his spot. I love these chances to see their textures and details close up. Such cuties… We have South facing windows an unfortunately, birds bump into them sometimes. We’ve found more than on little friend a bit dazed after a bump. 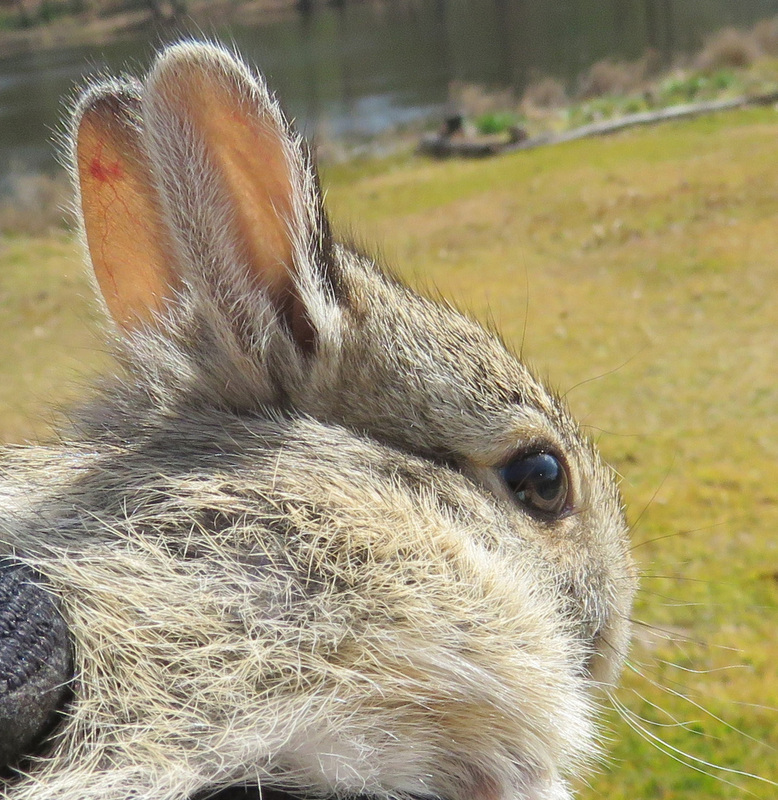 Luckily, we’ve never had fatalities… The bunn is adorable! I do have a glass door on that side of the house that the birds fly into sometimes, but where the chickadee was, that window is in full shade all day long, so I’m not sure what happened. I never even feed them over there. But he did act like he had bumped into something. Fortunately, he recovered after a few minutes too. Lovely, lovely photos! I’ve been having difficulty photographing chickadees this year. Ours are very skittish. If they even see me at the kitchen window they fly away. I know! 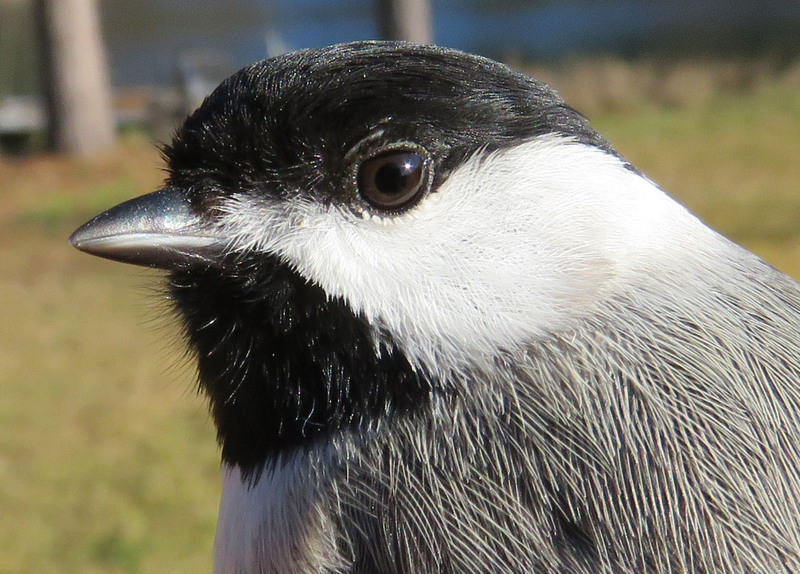 I am always reading that chickadees are so brave, they will land on your head while you are pouring seed, etc. Not here! They fly off when I step outside, and out in the woods, they make alarm calls and never get near either! I don’t know what the story was with that one, but it was fun to see one up close for even a minute. Those close-ups are spectacular! But I would’ve spent the rest of the day worrying about the baby bunny . . .